Buoyed by increases in biopharmaceutical drug approvals, pharmaceutical (pharma) and biotech owner companies are pouring capital into new and current manufacturing facilities, warehouses, and labs. Characteristic of this industry is that many pharma and biotech industry capital projects are schedule driven. But today, business and project managers are under greater pressure to manage capital project portfolios with a mind not only toward cost effectiveness but also predictability. It has and remains imperative for pharma and biotech companies to get product to market on time, but gone are the days when businesses gave project teams plenty of leeway with capital project cost. Like other capital intensive process industries, project organizations serving pharma and biotech companies are motivated to keep project costs low. However, cost overruns were more or less acceptable in past markets, provided the project team was able to meet schedule targets, and thus, tight market windows. In recent years, though, businesses have been pushing project teams to commit to cost and schedule targets early in Front-End Loading (FEL). Unfortunately, the pharma and biotech companies have had a difficult time developing dependable early project cost targets. IPA has observed recently that businesses demand firm cost and schedule targets from project teams at the start of a project’s Concept development phase (FEL 2), before detailed scope planning. As a consequence, pharma and biotech project teams are hurried into preparing cost and schedule targets with no more data-driven insights than could be hashed out during a golf outing. Not surprisingly, these “golf course numbers” are almost always too low compared to a project’s eventual actual cost. And the “golf course” schedule targets are often overshot. When project teams are required to produce tight cost and schedule estimates (e.g., +5/-15 percent range) early in the capital project development process, the likelihood of project scope reductions increases considerably as the project nears authorization. This means business can expect the project to be of less value before shovels break ground or the first wrenches are turned. Pharma and biotech project teams are stuck between a rock and a hard place. Project managers must turn in cost and schedule estimates that will satisfy the expectations of the business before they have adequate project designs, supplier quotes, and stakeholder input. But they also know beforehand that business executives may very well be disappointed with the project’s cost, schedule, and capacity outcomes —never mind its competitiveness with Industry or capital effectiveness. More reliable cost and schedule estimating early in the project development process is possible, however. To generate the unbiased conceptual estimates necessary for improving the cost and schedule competiveness of capital projects, project cost engineers benefit from having access to project data from past projects with similar project characteristics. But even large pharma and biotech companies have found it difficult to maintain the kind of robust project databases that are able to provide users with valuable cost and schedule information on a broad range of project and facility types. For the past 30 years, IPA has collected detailed project data from more than 18,000 downstream projects, including over 750 projects from the pharma and biotech industries. These industry projects, executed globally, range from less than $250 thousand to over $2 billion in size. All project types and facilities are represented, as shown in Figure 1. Developed from this pharma and biotech database, IPA maintains a full suite of cost and schedule metrics that can be used to aid pharma and biotech company project teams in conceptual estimate development and validation, as well as early schedule planning. When used during conceptual estimating, the metrics can help engineering organizations to produce early cost targets that are considerably less likely to be outside the plus/minus cost ranges that might derail projects early in the development. Rather than turning to unreliable and potentially biased sources of cost data, project teams can rest easier knowing that their cost estimates are grounded in actual capital project information derived from projects of comparative types. 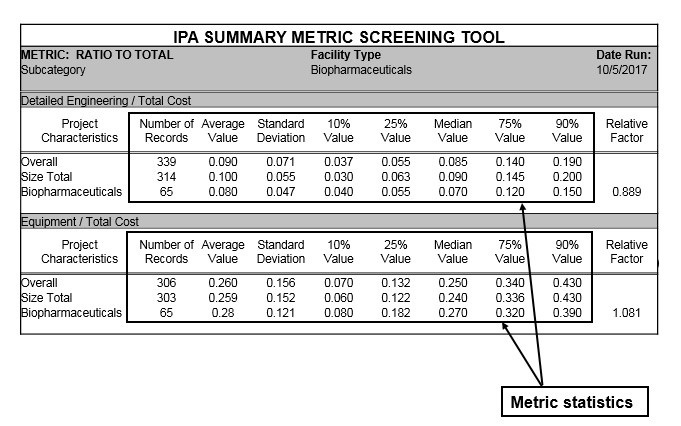 IPA has also utilized its pharma and biotech database to develop early schedule metrics. These metrics are used to support early project schedule development and reviews, assess the company’s metrics against industry norms, and support calibration of internal tools and databases. Due to the current market, teams are being pushed to meet extremely demanding schedules; however, this becomes significantly more difficult if they are required to meet those targets while also staying within an extremely tight range around the early FEL 2 estimate. Being able to validate both early cost and schedule targets helps stakeholders to understand if the project’s overall objectives are realistic, or if it faces considerable risks that may hinder success. 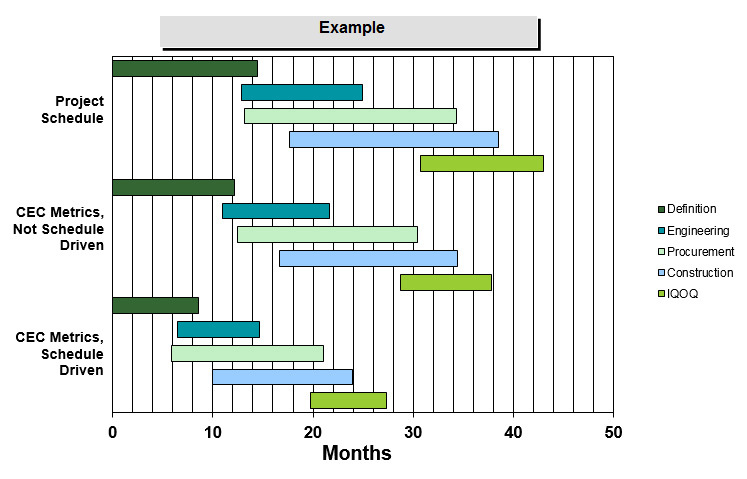 Figure 2 shows an example of how early schedule metrics can not only identify an aggressive cycle time, but also give a more granular assessment as to which phases (or specific phase overlap) are driving the aggressive schedule. Considering today’s pressure-cooker market where new and existing drugs must be rushed to consumers, it is no surprise that pharma and biotech businesses are pushing their project organizations to deliver earlier estimates. However, project organizations can be armed with the ability to assess portfolio targets and risks, allowing both business and project managers to make informed decisions early on, thereby setting teams up for success rather than failure. For more information, visit IPA’s Life Sciences page.